The 2015 Rochester Rattlers are in an interesting spot in the MLL. They are a box lacrosse-heavy team who is about as dangerous as you can be on offense when at full strength. They are coming off a Championship game appearance in 2014. They had the best defense in the league, the best goaltender, best defender, most improved player, and coach of the year. They had no trades in the offseason and drafted incredibly well. Unfortunately, they are also deeply impacted by the NLL/MLL overlap which makes their season opening roster “Rattlers 1.0”. Name Position Notes 2014 Games 2014 Opener? Championship? Now we can take a look at when all 44 of these players might become available to fight for rosters spots as the Rattlers look to return to the Championship game and come away with a win this time. Compared to their first game of 2014, the 2015 Rattlers only have nine of the 19 players available. Compared to their championship game roster, they have 11. What really hurts here is missing Mike Manley and Joel White. Both of them were able to play right from the start a year ago. Unfortunately, the MLL moved their season start up two weeks, and both are playing major roles on NLL teams. The Rattlers on opening day will likely feature the attack lineup of Wolf, Boltus and Ty Thompson. Ty filled in well last year during the world games and Boltus is hopefully not going to have too much military rust on him after taking time off due to Army commitments. Wolf was second on the team in scoring last year despite only playing in half of their games, so expect him to run that unit, and run it well. The midfield fortunately starts right out with top scorer Justin Turri and third on the team Dave Lawson. John Ranagan wasn’t far behind as seventh on the team a year ago. This will absolutely be a midfield centric team to start the season. They have an assortment of players that will need to complete the second line, and the FOGO spot is up for grabs with Ortolani on the PUP list. I wouldn’t be surprised to see the second line midfield shift for the first few games. Rand may have the edge at FOGO with regard to career numbers, but Carroll showed enough promise last year in his limited time to be brought back. 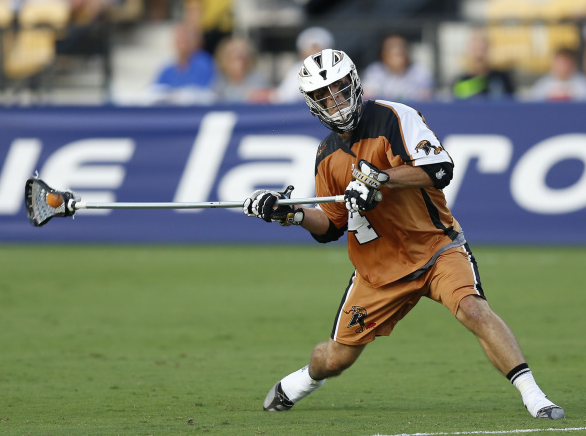 Defensively, the Rattlers should be comfortable with their short stick defensive midfielders and are set at goalie. Outside of that, the long poles will be solid, but not the dominant unit we saw last year, anchored by John Lade and Will Koshansky at close. John LoCascio is a great long stick middie, but he’s not Joel White. This group will be OK, but they need Manley and White to return. For their first game, it’s a good thing they’re playing Charlotte. The Hounds have the upper hand regarding face-offs, but they are team searching for an identity. Their second game against New York is a totally different story. Let’s hope they have thing figured out by then, because that team is a juggernaut on day one. If things hold up in the NLL, Rochester might get an infusion of talent for their fourth game, when they host the Launch. The day before is the final regular season game in the NLL. The New England Black Wolves are playing their final game in Buffalo, so if they don’t go on an astonishing run through their remaining schedule, this could allow Mike Manley and Mark Cockerton to join the team after very short drive down the New York State Thruway. The Minnesota Swarm finish their regular season at home, so even if they miss the playoffs, Miles Thompson, Joel White, and Jordan MacIntosh joining the team would be questionable, but possible, if they travel in from the midwest. This would be huge for the Rattlers. In college, there is an outside change that draft picks Mike MacDonald and Jesse King could be available for this game. Both of their NCAA teams need some good things to happen to lock up an NCAA bid. I would expect both of them to jump into the lineup once they are available. It is also possible for Somers to be mentioned in this conversation as Army has been very inconsistent, but the Rattlers are not begging for a new goalie. Justin Turri also coaches for Army, so keep an eye open there. This is where things get interesting. If either of the NLL teams mentioned above make the playoffs, their availability changes by the week. The same applies to all the NCAA players. Many of the Rattlers draft picks are on teams that are capable of making deep runs in the NCAA tournament. Cornell, Syracuse, Notre Dame, and RIT are all in the conversation regarding potential memorial day plans. Conference tournaments will be a big decider here as well. By the time this game rolls around, all college players should be available and most NLL players should be in as well. This weekend is the first game of the NLL finals, which could stretch on for an additional two weekend, depending on how it goes. The main name potentially earmarked in this scenario is Mark Matthews. Finally! Nine games into a 14 game regular season and we are free of all potential conflicts from other leagues. By this point, anyone who the Rattlers plan on using should be on their game day roster. I don’t expect too many changes by now, but it’s worth mentioning. New for the Rattlers this year is a new place to call home. Their previous home of Sahlen’s Stadium in city of Rochester was difficult for the team. It was a nicely sized stadium for an MLL team, especially one with smaller crowds like Rochester. However, the relationship with the stadium was strained at best. Without getting into some of the behind the scenes work here, an obvious example is when Rochester secured a home playoff game last year and had to host at their practice site, which was a nearby high school. I don’t think the league was thrilled with that from a PR perspective. They have moved to SUNY Brockport, which is a college located 19 miles west of Sahlen’s. Brockport is really on the edge of what you could call Rochester, but they are hoping to take advantage of newer crowds and hopefully some more of the suburban lacrosse fans will be more willing to make the drive there instead of into the city. Their previous location was not in a part of the city that many would consider “family friendly”. With the Rattlers lagging behind most teams in attendance, it’s hard to argue against a change in venue anyway. So much of the success of teams in professional lacrosse depends on their facility contracts. Hopefully this will help ensure the Rattlers have a secure future as they try to establish a foothold in a the western New York lacrosse community. They have the on-field talent to draw crowds, but the off-field work is where the attention needs to be spent. So if you’re in the area, GO TO GAMES! So far, the Rattlers draft class is still looking excellent. MacDonald is one of the top scorers in all of division 1. Jesse King is one of the highest scoring midfielders as well. Both earned second team Mid-Season All-American honors .Jack Near has not disappointed as one of the best short stick defenders in the country. The only draftee that has caused any concern would be Randy Staats for Syracuse. He has struggled with injury his entire playing career, starting in junior box leagues and that has come back again this season where he has missed a few games. This group will all be pressing for playing time once they are done with college. This team is largely unchanged from a year ago. Sometimes that can actually work against a team, but I think in this case it’s a very good thing. They have a core group of players with a few years together who have really melded as a team. In professional lacrosse where team time and practice time are limited, this cannot be undervalued. They have infused a ton of young latent on offense, which should allow them to dominate games this season. Rochester won’t sneak up on anyone this year, but I’m not sure that is going to matter. When you play defense as well as they do and have versatile, talented players on offense, teams can know you’re coming, but they still have to stop you.